Chorizo and tiger prawns siu mai. Soft shell crab and yellowfin tuna sashimi. Soft shell crab in a bao bun. Walls lined with wine bottles. The wagyu beef and foie gras avocado burger. Stepping foot in MBER – an intimate cocktail bar and restaurant – you’re greeted with ambience that’s both instantly relaxing and perfectly moody. Warm, dim lighting coats plush red couch seating, accompanied by sleek black tables and a set up of perfectly polished glasses and cutlery. Alongside them, copper martini glasses decorate the table eloquently, filled with delicious olives and nuts to snack on. Taking one look at the menu, it becomes evident that decision-making is going to be tough. Yellowfin tuna sashimi? Crispy pork belly? Maybe to opt for a larger curry rather than a few small tapas? This Pan-Asian selection of dishes already sounds lush, right? If you’re asking yourself why you’ve only heard about MBER now, it could be due to its inconspicuous location. There is one main factor making MBER such a true hidden gem. Despite being located in central district near Monument, with so much surrounding foot traffic, it is on a small street that is actually prohibited from having signage out the front: Pudding Lane. Realistically, you kind of need prior knowledge about MBER to find it as there won’t be any street signs telling you where to go. We definitely got stumped ourselves for a moment there. On the Sunday night we visited, we opted to treat ourselves like absolute kings, ordering an admittedly over-indulgent abundance of tapas for our cosy table of eight. Getting at least two or three of everything, we ordered: crispy sesame squid, chorizo and tiger prawns siu mai, char-siu pork doughnuts, soft shell crab tempura, yellowfin tuna sashimi, wagyu beef and foie gras burger, beef gyoza, edamame beans, grilled chicken satay and a side of steamed jasmine rice. Oh yeah, and dessert. Now obviously, that’s a lot of food. Like a lot. So we’re not going to go into detail with every single dish like we normally do with our foodie blog posts. We’ll leave that experience for you to discover yourself. We will, however, touch upon a couple of our favourite picks of the night. Dissecting the wagyu beef and foie gras avocado burger. Char-siu Pork Doughnuts: Ooh my goodness, incredible. These delightfully dense little balls of absolute deliciousness stole our hearts for the evening; they looked like they could have been sugar coated dessert doughnuts from the outside, but were actually a mouthwatering savoury. Braised in soy, Chinese five spice and rice wine, hoisin and black tracle sauce, could this dish have been packed with any more flavour? While the doughnuts were initially only a maybe, we were highly recommended it from one of the waitresses, and can now certify that it was definitely the most surprising favourite for us. Yellowfin tuna sashimi: Probably the least surprising favourite. We ALWAYS order the sashimi, no questions asked. This one was served so tender and refreshing, with black truffle salsa, shichimi togarash pepper and orange and ponzu sauce. Wagyu beef and foie gras burger: To be honest, we didn’t really read into this dish too much upon ordering. 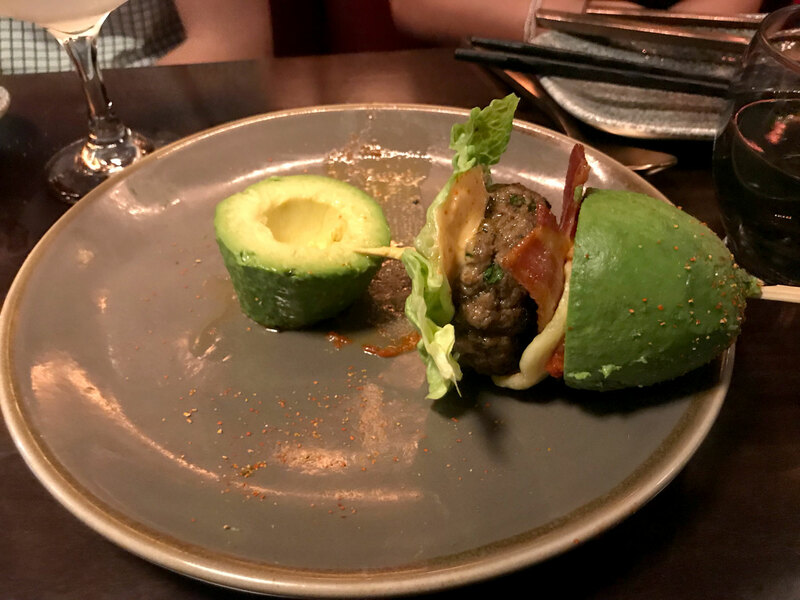 We just saw wagyu beef burger and were won over in an instant, so you can imagine our surprise when the burger came out with carved avocado in place of bread! It was a pleasant surprise at that. The avocado paired seamlessly with the juicy beef patty, complete with sugar cured streaky bacon, smoked chilli, miso relish, siratcha mayonnaise and melted gruyere. To find out more about MBER and what they’re all about, follow the link to their website here. 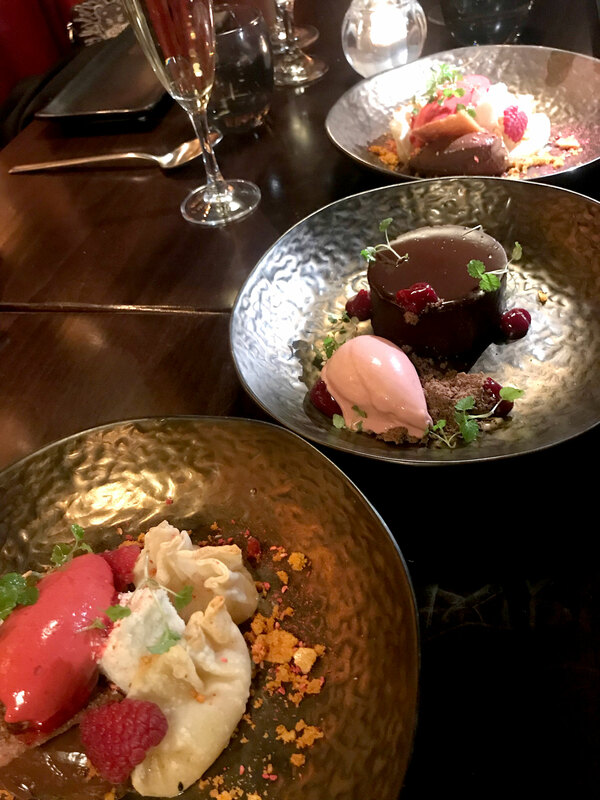 While it was a gifted experience, we can honestly say we had the best time at this restaurant. The atmosphere was really lovely, with friendly staff and bubbling customers, and the unique food pairings were totally memorable. We’ll be dreaming of those doughnuts for the rest of our lives, tbh.